Organization is key whether you are doing a kitchen remodel or just want to update some aspects of your kitchen. Here are some fun little tricks to help you gain some additional organization in your life. Spice Drawer insert – Have a lot of spices and can’t keep track of what cabinet they are in? 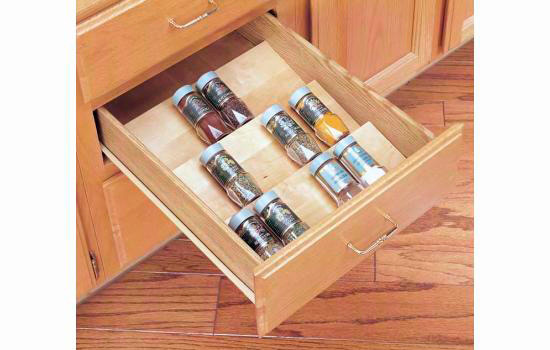 Try adding in a spice drawer insert to keep them all in one designated area. It’s great to keep it close to your cook top for when you are prepping and cooking. Blind Corner Units – Have a blind corner in your new kitchen layout and unsure of what to do? 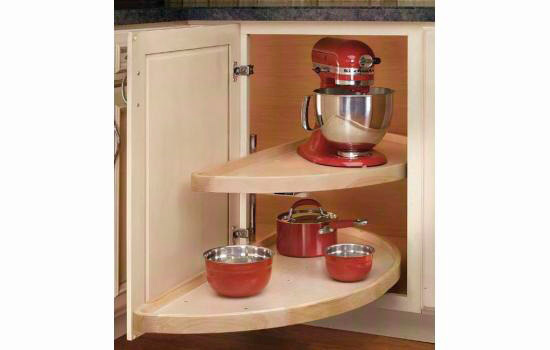 Try adding in a half moon Lazy Susan or a Wire basket unit that you can easily pull out. 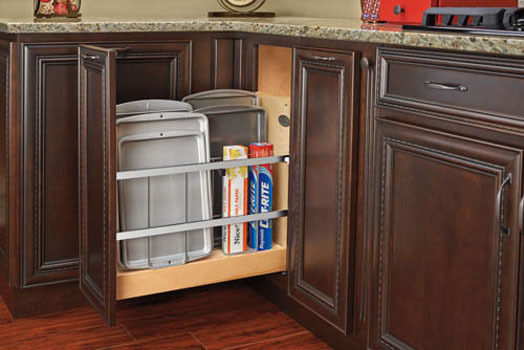 Both allow you to store items in those hard to reach corners and give you that additional storage. Tray Divider – If you do a lot of baking this might benefit you more so. 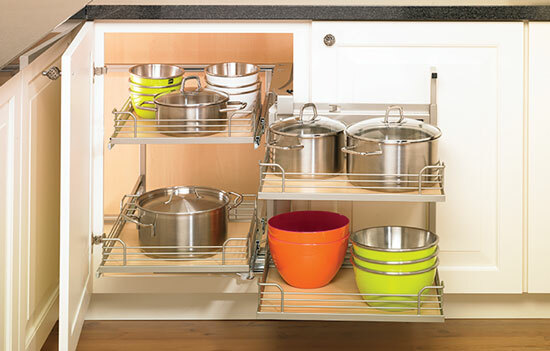 Having a tray divider allows you to take all your baking sheets and keep them in one designated spot. Not only making it easier for you to grab them, but also to keep them stacked nicely. No more having to bend down or reach high to grab that specific tray. Like what you see? You can view more of these products at Charles McMurray’s website by clicking here . They have a wide range of different organization products not only for the kitchen but for the bathroom and laundry as well.